They have great features that really allow for better engagement with our customers, other than just text. 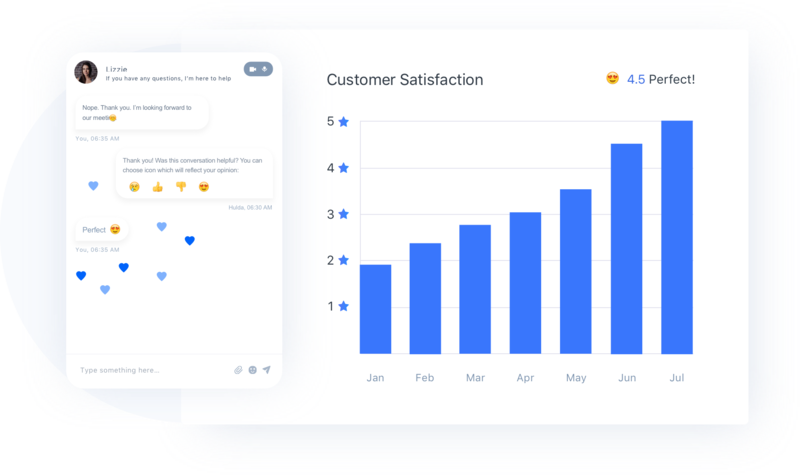 Identify how many chat conversations converted into sales, sign ups, demos and understand your ROI. Understand how your sales team is performing and learn what helps to drive sales. Know exactly how many leads/prospects were added and get an overview of performance over time. Know exactly how many emails were sent out to customers and how this helps drive traffic. See which in-app messages work the best with response rates to sent messages. Measure the results of campaigns and understand which campaigns work best with your customers.